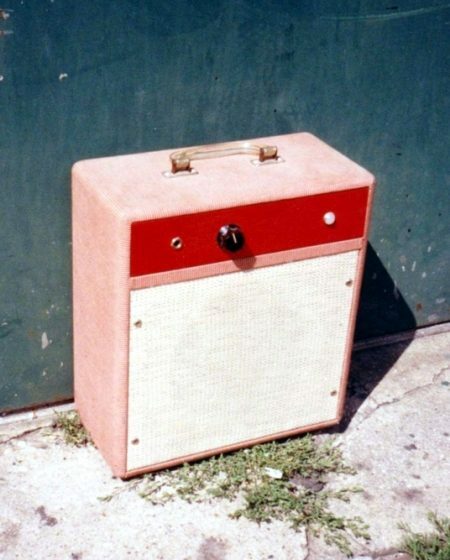 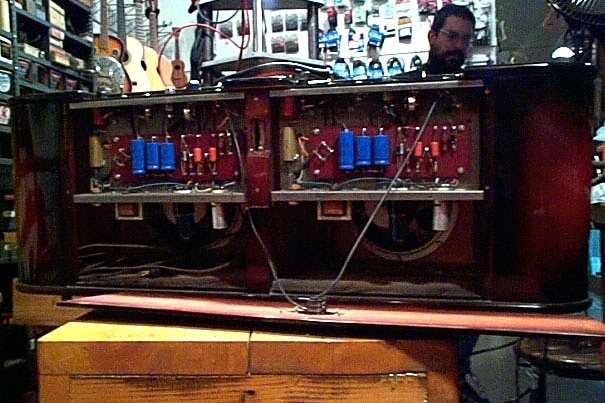 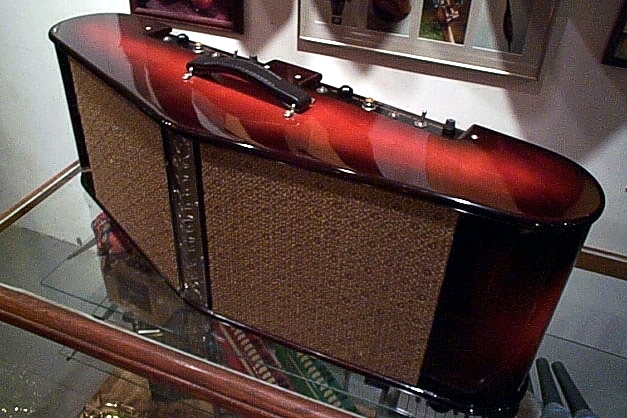 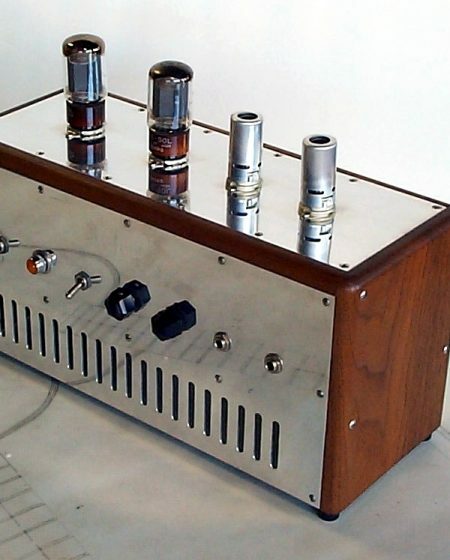 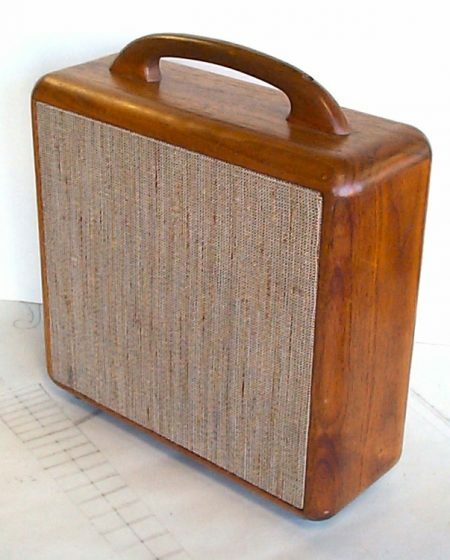 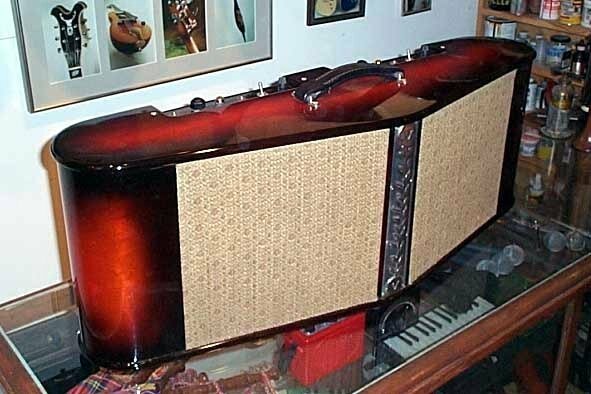 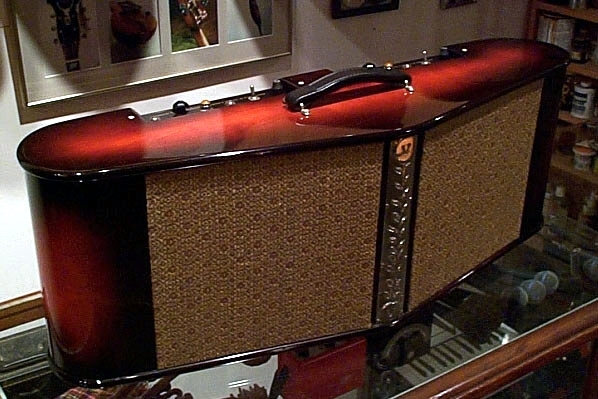 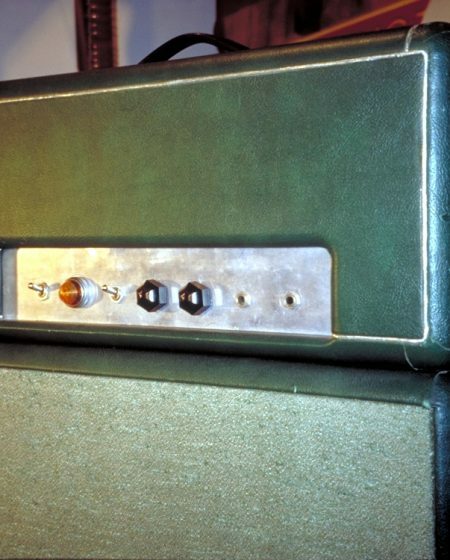 Essentially two Specimen 10-watt Petimor chassis mounted in one carcass, this 20-watt stereo amp can be used either individually or in tandem—bridged mono or stereo—using the interface panel on the back. 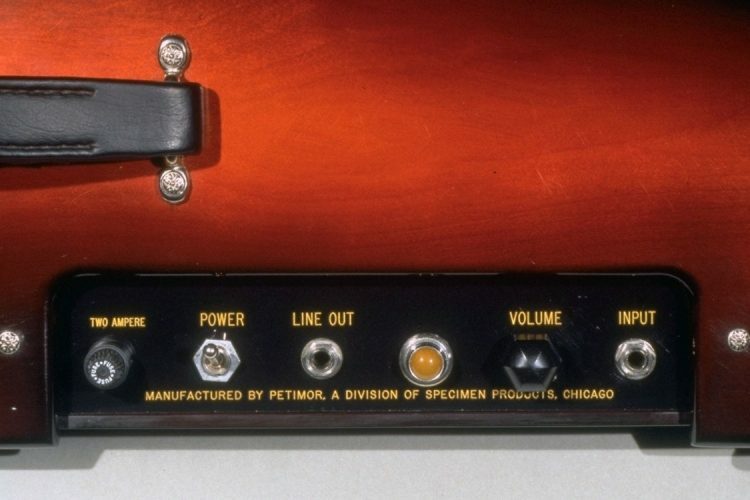 This amp also includes RCA-type inputs that can receive a line-level signal from CD, tape, or phono to effectively convert the unit into an Ivy League boom box. 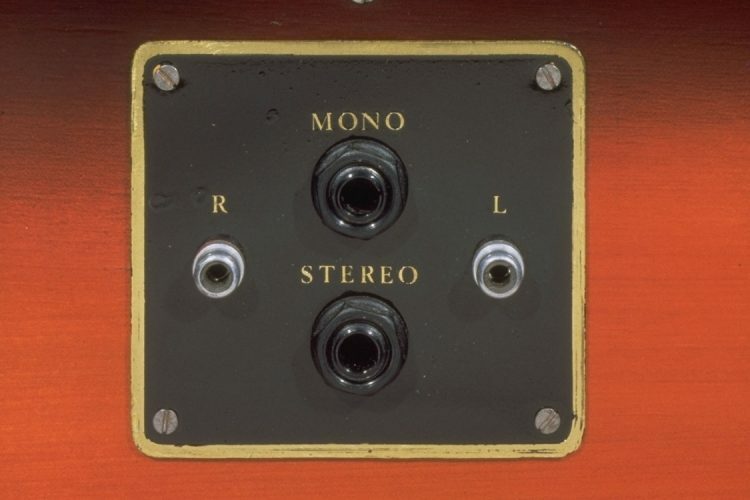 A 25° angle on the front of the unit helps to accentuate the stereo effect. 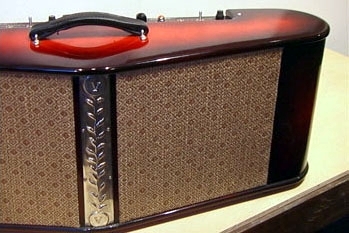 Between the two 8″ speakers, a nickel-plated copper nosing is embossed in an organically patterned repousse.